Google Panda has been recently updated with new algorithm changes, making Panda Update 2.3 live. “We’re continuing to iterate on our Panda algorithm as part of our commitment to returning high-quality sites to Google users,” a representative from Google said. “This most recent update is one of the roughly 500 changes we make to our ranking algorithms each year,” Google mentioned. Recently, there have been various complaints in forums and threads by webmasters regarding their websites’ traffic. This was a hint to Google’s recent update. The search engine giant said that “this update incorporates some new signals that help differentiate higher and lower quality sites.” Because of this new update, some people may notice an improvement in their search engine rankings. The manually pushed out Google Panda updates may be released every month as observed on the dates of their previous updates. 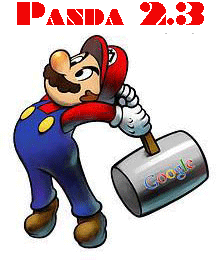 The first Google Panda update 1.0 was on February 24, 2011, and then followed by 2.0 on April 11, 2011, which was about 7 weeks later. Panda update 2.1 was on May 10, 2011, and then on June 16, 2011, Panda update 2.2 was rolled out. After 5 weeks, on July 23, 2011, Panda update 2.3 went live. Every time Google Panda gets run, some websites affected by the last update may have a chance for an improvement, while other websites may experience a drop in website traffic. If you’re currently looking for a company providing white label SEO reseller packages, like SEOReseller.com, make sure they only produce high quality content to avoid any problem with Google. SEOReseller.com offers SEO reseller services that your business needs. Contact them today for better search engine performance, improved brand awareness, and increased business profits.